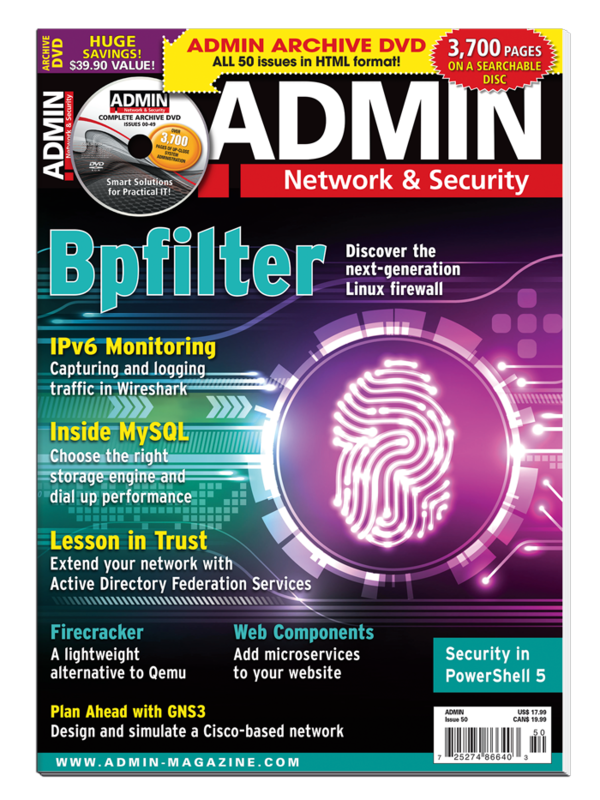 Subscribe to the digital edition of ADMIN Network & Security and save on the newsstand price! ADMIN is the leading technical magazine for system administrators. ADMIN goes beyond the usual industry news and top ten lists, presenting detailed discussions aimed at the professional reader on contemporary topics such as virtualization, containers, security, storage, and cloud computing. Please note: DVD contents for each issue are only available with the print edition of the magazine.